“To go boldly where no man has gone before”. The catchphrase every Trekkie knows. 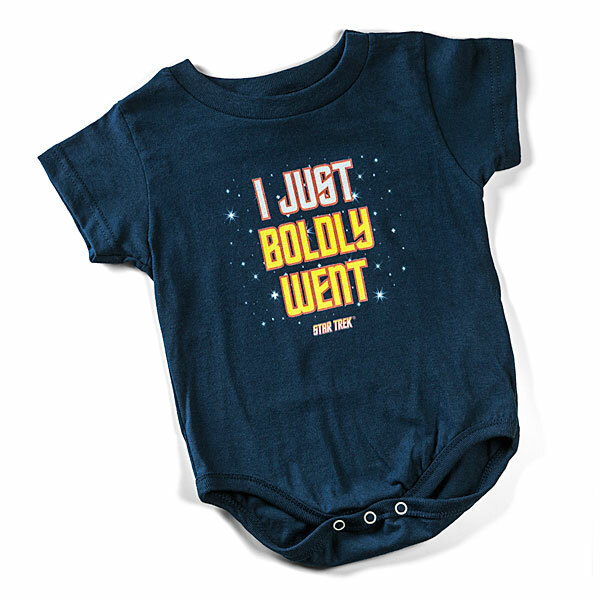 These Star Trek onesies ($15) for your kids take a different approach. Your kids aren’t going where no man’s gone before, they’re just going. In their diapers. 24/7. Little pooing and peeing machines. “I just boldly went” could not be any more truer with little kids.